From the American entry into World War II until September 1943, U.S. submarines experienced an abnormally high number of torpedo failures. These failures resulted from three defects present in the primary torpedo of the day, the Mark XIV. These defects were a tendency to run deeper than the set depth, the frequent premature detonation of the Mark 6 magnetic influence exploder, and the failure of the contact exploder when hitting a target at the textbook ninety-degree angle. Ironically, despite using a completely independent design, the Germans experienced the same three defects. The Germans, however, fixed their defects in six months, while it took the Americans twenty-two months. Much of the delay on the American side resulted from the denial of senior leaders in the operational forces and in the Navy's Bureau of Ordnance (BuOrd) that the torpedo itself was defective. Instead, they blamed crews for poor marksmanship or lack of training. In the end, however, the submarine force itself overcame the bureaucratic inertia and correctly identified and fixed the three problems on their own, proving once again the industry of the average American soldier or sailor. From the American entry into World War II until September 1943, U.S. submarines experienced an abnormally high number of torpedo failures. These defects were a tendency to run deeper than the set depth, the frequent premature detonation of the magnetic influence exploder, and the failure of the contact exploder when hitting a target at the textbook 90-degree angle. Ironically, despite using a completely independent design, the Germans experienced the same three defects. The Germans, however, fixed their defects in six months, while it took the Americans 22 months. Much of the delay on the American side resulted from the denial of senior leaders in the operational forces and in the Navy's Bureau of Ordnance (BuOrd) that the torpedo itself was defective. In the end, however, the submarine force itself overcame the bureaucratic inertia and correctly identified and fixed the three problems on their own, proving once again the industry of the average American soldier or sailor. 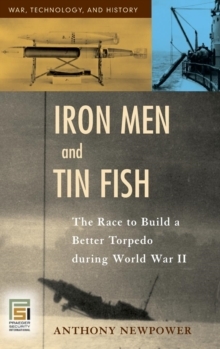 Contrary to the interpretations of most submarine historians, this book concludes that BuOrd did not sit idly by while torpedoes failed on patrol after patrol. BuOrd acknowledged problems from early in the war, but their processes and their tunnel vision prevented them from realizing that the weapon sent to the fleet was grossly defective. One of World War II's forgotten heroes, Admiral Lockwood drove the process for finding and fixing the three major defects. 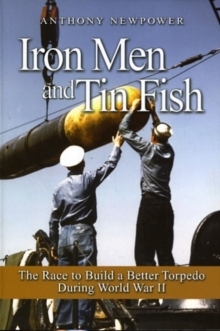 This is first book that deals exclusively with the torpedo problem, building its case out of original research from the archives of the Bureau of Ordnance, the Chief of Naval Operations, Vice Admiral Lockwood's personal correspondence, and records from the British Admiralty at the National Archives of the United Kingdom. 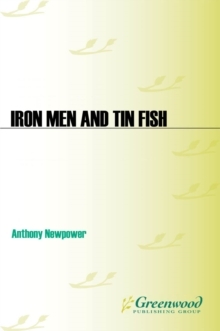 These sources are complemented by correspondence and interviews with men who actually participated in the events.